When I was growing up, “HALLOWEEN APP-LES!” was a familiar sing-song chant you would commonly hear reverberating through the chilly autumn air throughout my suburban Winnipeg neighbourhood on Halloween night. As we clamoured for candy at the doors of our benevolent neighbours, “Halloween Apples” was shouted interchangeably with “Trick or Treat,” in addition to the notorious, “Trick or Treat, smell my feet, give me something good to eat. Not to big, not to small, just the size of Montreal!” which we also used both daringly and sparingly, as we got a little older. But like most things I said as a kid, I didn’t think much of it; nor did I ever question the logic of it. And I was completely oblivious to its meaning. “Halloween Apples” was simply something we said. I guess we just wanted to mix things up a bit. And I thought it pretty much translated to, “give me candy” in sort of the same way, “trick or treat” did, but maybe with a “please” on the end. I didn’t actually expect to get apples! And then when I did get apples, I never even made the connection. With Halloween upon us, I was reminiscing about Halloweens gone by and was curious as to where the saying, “Halloween Apples” came from? Is it a “Winnipeg thing”? When you come from Winnipeg, you get accustomed to speaking a language that no one else in the rest of the country seems to comprehend. As an adult living in Western Canada, I can’t tell you how many uncomfortable pauses and long, blank stares I have endured at dinner parties and the like when I’ve made reference to things such as “booters” that I experienced as a kid growing up in Winnipeg. Although there are those that come from some ‘eastern parts’ of Saskatchewan that appear to understand the dialect of ‘Peggers, as we are also commonly known, it’s a stretch. So, I started doing my research and at first glance, “Halloween Apples” appeared to be predominantly a “Winnipeg thing”. I started to wonder if we were the only ones that said, “Halloween Apples”? I couldn’t think of a worst waste of prime candy real estate in my trick or treating sack than apples! Not to mention the precious minutes and breath I had squandered at those apple-bestowing houses. Yeah, I know…apparently, I had asked for them! But fortunately for me, I trick or treated in the latter part of the ’70’s so the razor blade scare was still very real and therefore, at the very least, I could justify tossing those apples in the trash! But had they been caramel apples… well, that’s a completely different story! I would have been perfectly happy to get a caramel apple in my trick or treat sack. But alas, it never happened. 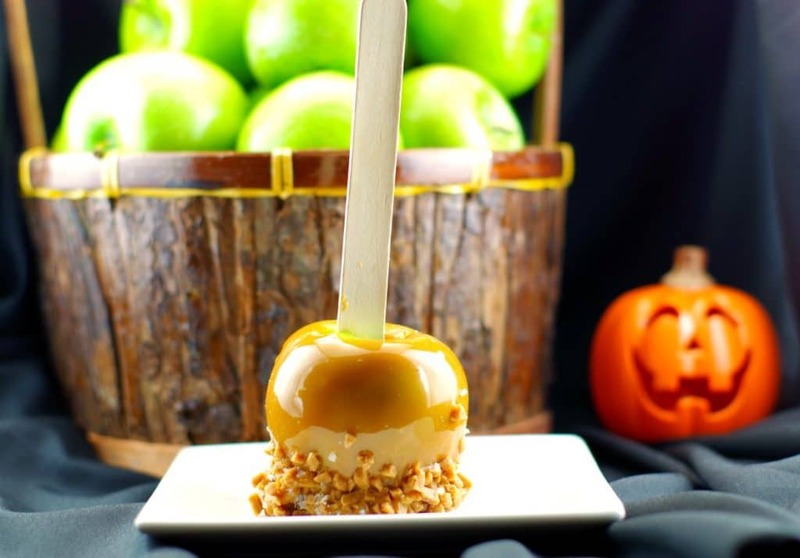 I also wondered what relationship caramel apples had to Halloween…. In light of this, I have made my own salted toffee version of the Kraft Caramel apple recipe. It’s really easy to make but much less hassle than making the caramel coating from scratch. And melting down caramels tastes so much better and looks so much prettier than using the caramel apple wraps! In the end, I decided to conduct my own little “Halloween Apples straw poll” and randomly asked people I know if they had ever heard of this saying or if they said it themselves as kids. 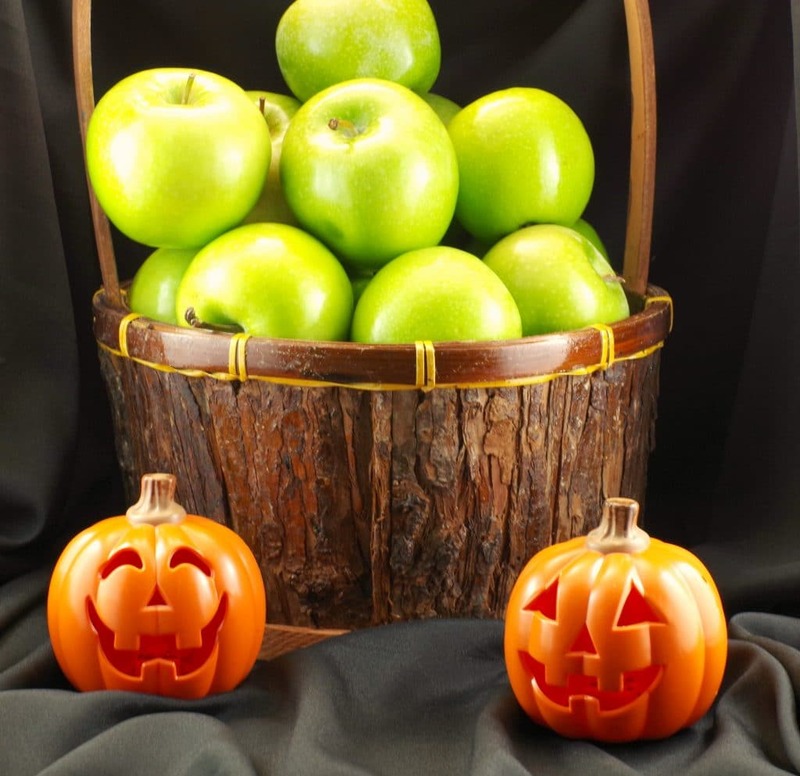 Interestingly enough, I came across several individuals that said “Halloween Apples,” on Halloween when they were growing up, although they were from cities and towns all over the Canadian prairies. Most had a Manitoba connection, but a few others claimed absolutely no known association with Manitoba. Not one person from Ontario and eastwards had ever even heard this saying. Perhaps it’s more of a Canadian prairie thing then, with some generational influence? Because I couldn’t find anyone under the age of 40 that had the faintest idea as to what I was talking about either. Nor had my own kids or their friends ever heard of this Halloween saying. And for the 25 Halloweens I have been doling out candy in Calgary, I have never ever heard a kid say “Halloween Apples!” at my door. However, if I ever were to hear a kid say “Halloween Apples!” again, I don’t think I could resist the temptation to bestow a caramel apple upon them. I happen to think they are an excellent use of prime trick or treating sack real estate! Did you say, “Halloween Apples”? when you were growing up? I’d love to hear your comments (below)! 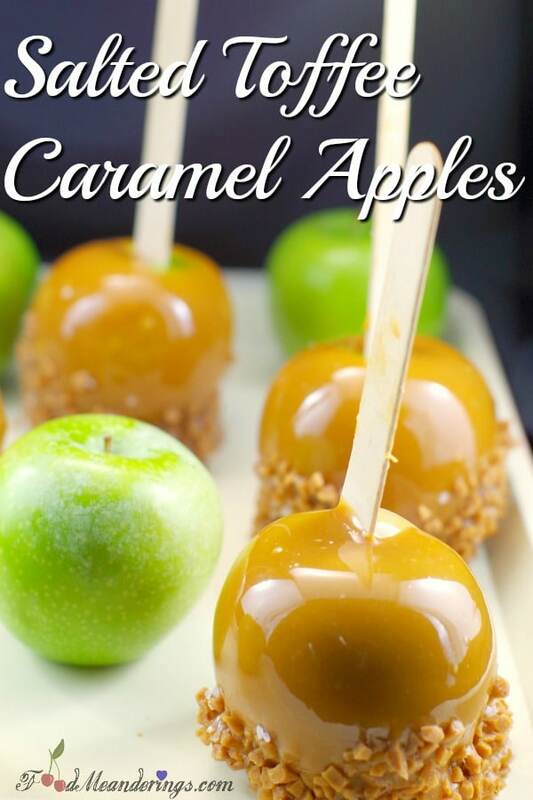 If you love caramel apples, you’ll love myCaramel Apple Betty Dessert Shooters! 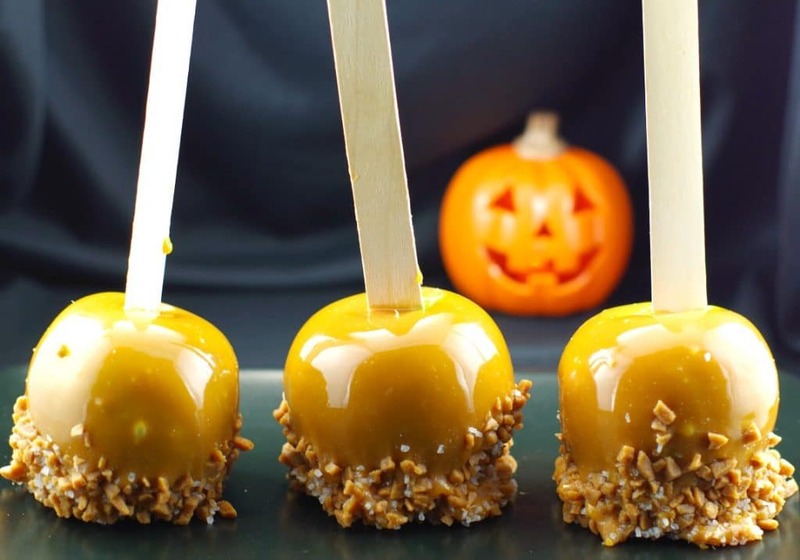 A quick and easy caramel apple using store-bought caramels and dipped in salted toffee bits. Cover large baking sheet with parchment paper. Insert wooden popsicle stick into stem end of each apple. Unwrap caramels and melt caramels and water in large saucepan on medium-low heat until caramels are completely melted, stirring constantly. Mix salt and toffee bits together, then dip bottom of apples in mixture. You may have to gently press some to get them to stick to the sides. Place on prepared baking sheet. Refrigerate 1 hour. This post totally made my day! Not only because I totally loved the story, but also because I’m now super inspired to go caramelize some apples 🙂 Drooling already! Hi Karly- Thank you! I’m glad you enjoyed the story and I hope you get to enjoy some caramel apples this year! What a neat story!! I have never thought about the origin of caramel apples but your title drew me in. And the apples look amazing as well!! Hi Tiffany – Thank you – glad you liked the story! I love caramel apples! These look amazing! I loved this! It is so fun to be let into the local phrases so you don’t feel totally clueless! Thos apples look wonderful as well! Yum I love caramel apples! Besides these making my mouth water I couldn’t help but smile at the local phrases. There are a couple shared with Saskatchewan, they are neighbours after all. When our daughter lived in Winnipeg she attended many socials. would it be fair to say that those in Manitoba know how to throw a good party?